Maximize your deductions. Try eSmart Tax for FREE! Hobby People is Your Trusted Source for Radio Control Planes, R/C Helicopters, R/C Cars, R/C Trucks, R/C Boats and More! Sign up for the AthleticCompression.com newsletter and get 10% off your next order! UA Men's Baseball Gear at UnderArmour.com. If you love baseball, or if you just enjoy a joyous, hilarious and inspiring story (albeit profanity-laced), then check out “The Battered Bastards of Baseball” on Netflix. 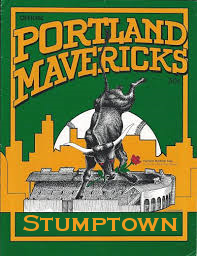 It’s a 2014 documentary about the Portland Mavericks, an independent Class A minor-league baseball team founded in 1973 by Bing Russell — a retired actor who played Deputy Clem on “Bonanza” for 13 years. He is the dad of Kurt Russell, of “Tombstone” fame, who also played for the team as a young man and contributes heavily to the film. Russell jokes that his dad, who was a true showman, was killed 126 times on camera. After “Bonanza” was canceled, Bing was out of a job and decided to start the team. And what a team of pot-bellied, beer-swilling, cigarette-smoking misfits they were! Russell held open tryouts to pick his players for what was the only minor league team in America not affiliated with a major league team. That means its players were almost certainly never going to make it to the big leagues. But it also meant Portland fans actually identified with the players, because they weren’t called up after a few months. The players stuck around. Fans nearly filled the cavernous stadium, setting attendance records for short-season minor-league baseball. The Mavericks gave the fans plenty of reasons to return to the ballpark. This motley crew relied on speed and strong defense to beat the other teams in the Northwest League — who had nicer uniforms and flatter bellies. 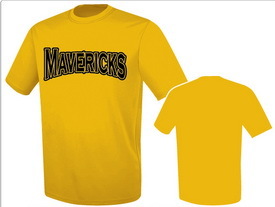 The Mavericks won the division title four straight seasons with a crew that included Jim Bouton. He was the former Yankee knuckleball pitcher who was ostracized after writing “Ball Four,” which exposed the seamier side of the game — drug use, womanizing and other unseemly behavior. After its publication, no team would touch Bouton. He retired and took up acting. Five years later, he was playing with the Mavericks where he went 5-1 in his only season there. That prompted Ted Turner to sign him to pitch for the Atlanta Braves. Bouton is also semi-famous for taking a concoction invented by fellow Mavericks pitcher Rob Nelson — a bubblegum alternative to chewing tobacco — to the Wrigley company. And thus was born Big League Chew. Russell kept 30 players on the roster, much higher than other teams, because he believed some players deserved a final chance to play ball. The team’s speedy outfielder, Reggie Thomas, later was rumored to be an FBI informant. He disappeared in 1984 and hasn’t been seen since. Pitcher Larry Colton quit teaching English to join the Mavericks. Five years earlier, he had made it to the big leagues for two innings. Colton later wrote a number of books, including one nominated for a Pulitzer Prize. Then-batboy Todd Field, who contributes some of the film’s funniest and wittiest lines, grew up to become an acclaimed actor, screenwriter and director. After five seasons, Major League Baseball had enough of being upstaged by Russell and his motley Mavericks. 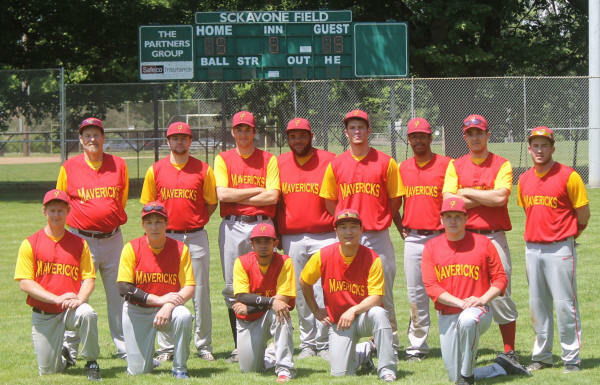 The league took back its territory and brought back a Class AAA team. Portland fans were left only with fond memories of a team that kept a dog in the dugout, who would be allowed to wander out in the field if the Maverick’s pitcher needed a rest. Utility infielder JoGarza, would run around the stadium with a broom as the team “swept” its opponents. “Battered Bastards” depicts a magical time in baseball, guys playing for $400 a month for fans who showed up in droves. And a grand time was had by all.